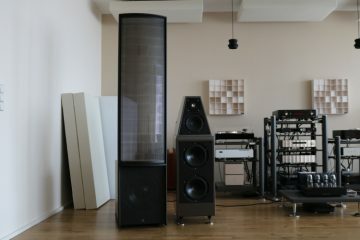 A successor to the NuPrime Reference 20, the Evolution One contains the latest developments in technology and is the company’s current reference model. 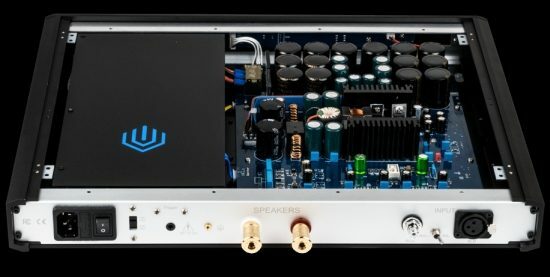 At almost 4000 euro per mono amp, they are not the incredible bargain that the ST-10 amp is but given my excellent experiences with that model, I was interested to find out how the company’s flagship models would compare. The Evolution One contains some new developments such as a new input stage with a 1MΩ input impedance. According to the manufacturer, the high input impedance allows the pre-amplifier to see a much easier load and hence introduce less harmonic distortion and phase delay to the system. The latest NuPrime 700KHz high-speed switching Class-D modules are used which according to the manufacturer allow a greater resolution to be achieved. Contrary to the ST-10’s linear power supply, the Evolution Ones have a Switched Mode power supply on board and with a power rating of 240W into 8 ohms and 330W into 4 ohms, I’d be surprised if these amps ever run out of steam. 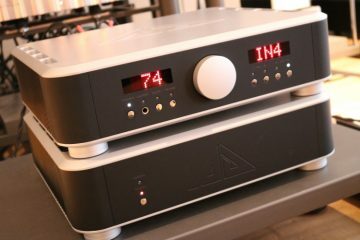 When the ICE power class-D amps hit the market in the shape of the Jeff Rowland model 201‘s I was initially amazed at the power and control available from such a diminutive component but it did not take long to realize that while certainly powerful, they were not ideal. They lacked resolution and tonal richness as well as soundstage depth but more importantly, I found the timbre to be unnatural. After ICE, came Pascal, again for me in Jeff Rowland guise and while the model 525 was better than ICE in terms of timbre and solidity I found this technique to result in an overly controlled sound and lacking treble fluidity. Naturally, there were many more implementations using ICE and Pascal modules that I have not used in a controlled environment but judging from what I heard at shows, it seemed that class D would never be it for me. Then I heard the NuPrime ST-10 using proprietary class-D circuitry and it changed everything. The ST-10 does not sound like a typical class-D amp at all. It has bass control and heft easily as good as the best Pascal amps I heard, a natural timbre even better than that of many class AB amps and while its transparency and resolution could be better and its treble lacks fluidity and air, the amp has such magnificent PRaT and makes for such a lively and engaging performance that you quickly forget about that. The Evolution Ones were used in several scenarios, both using my own systems as well as in two friends’ systems and a pattern soon emerged. Wherever they were used, they were like chameleons, always refrained from editorializing the sound. These amplifiers really are as neutral as they come. 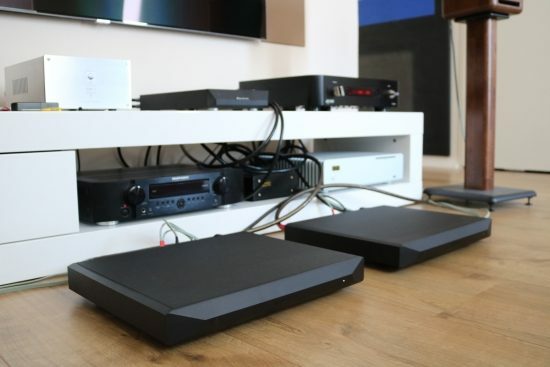 When the amps were delivered, I was just finishing off the Kroma Audio Carmen review so, naturally, I connected the Evolution Ones to them using the Melco N1ZH server, CH Precision C1 DAC and controller and Cardas Clear XLR cables. Speaker cables were the Jorma Design no.3. The Carmens are very efficient speakers and they certainly don’t need all of the Evolution Ones’ 240 watts but nevertheless, the sound was subtle and refined and with superb bass. Actually, the bass may actually be one of these amps’ strongest assets. While class D typically has taut and fast bass, even with difficult speakers, it often lacks weight and impact. The Evolution Ones, like the ST-10, however, has all the heft and body that you could wish for, combined with an articulation and agility that most class A amps can only dream of. An aspect that ties firmly into this is the timbre or tonality. This is another aspect of the ST-10 that had me hooked, and it is fully retained in the Evolution Ones. While still in the confines of my listening rooms, I also used the amplifiers with the Wilson Watt/Puppy 8. The Wilsons are also quite efficient and behaved much like the Carmens, sounding entirely like themselves with excellent resolution and refined treble behavior and some of the best bass that I’ve heard the speakers produce. Speaking 0f the Wilsons’s treble behavior: while not harsh perse, they will definitely let you know when an upstream component has issues in the treble. The Evolution Ones absolutely do not. Speaking of the ST-10, the Evolution Ones have indeed evolved in various aspects. The Evolution Ones don’t quite reach the CH Precision A1’s insane level of ultimate resolution and refinement but they are miles more resolving than the ST-10 and actually have such excellent treble behavior that it becomes a non-issue. Indeed, these amps’ class-D engines simply are no longer identifiable as such. Soundstaging is another forte of these amps. Unlike many class-D designs that sound flat, the Evolution Ones portray instruments and vocals with their 3D bodies fully intact. There’s also a new aspect to the Evolution One’s delivery that I find less attractive. Maybe it’s their insanely high input impedance, maybe it’s that they are more than lightning-fast or maybe it’s something else, but I found that their performance is highly dependent on recording quality. Great recordings sound really great and highly entertaining. These amps can sound truly lifelike when the circumstances are right and in these cases, I could not want for more. Mediocre recordings, however, will also sound that way. Don’t get me wrong – the amp does not exacerbate bad qualities, tonality is always good and they never become aggressive even with the lousiest of recordings but maybe they’ve become so very neutral and add so very little that some recordings start to lack that certain “lyrical” aspect and no longer incur an emotional involvement. My music collection contains a nice portion of sublime recordings but does not revolve around them. Rather, it probably consists mostly of “OK” quality recordings. Which is fine – I don’t need to revel in the best of the best all the time but I also don’t want a big part of my collection to sound uninvolving. In a way, this paves the way for the Evolution Ones’ raison d’être: they are true reference amps for those who want to hear everything that is on the recordings with no alterations whatsoever. 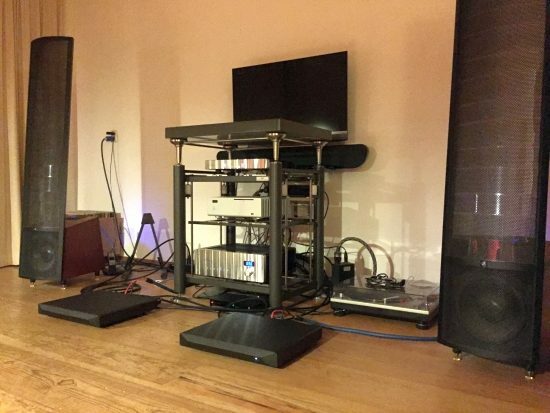 I also used the Evolution Ones for a few days in my secondary setup fed from an AudioAanZee Reference Flow music server with Euphony drive running Roon, via the Ayon Stealth DAC and preamp with the Xavian Perla Esclusiva and I made sure to give them enough warm-up time prior to critical listening. Actually, because they draw so very little power, it is a good idea to leave them switched on all the time. This will result in a freer delivery than when they’re just switched on from the cold. While the Evolution Ones drove the Xavians with the same self-effacing confidence and neutrality as with the Kromas and Wilsons, I began to feel that the amps were only idling along with the speakers used so far, not used to their full extent. They always relayed the recordings with super high precision but it was more cerebral than emotional. The ST-10, by comparison, was a lot less refined with the Xavians and certainly less transparent and well-balanced but it did sound more outgoing and more involving, throwing more of a party as it were, especially with lesser recordings. So, maybe the Evolution Ones liked to be challenged a little more? To find out, I first took the amps to audio buddy Niels to see how they would work in his system when combined with Martin Logan Spires. After firing them up I was reminded of how well the ST-10 worked with the Martin Logan ESL11A’s during their review. This time, too, the superbly natural NuPrime timbre worked wonders with Niels’ Logans, making acoustical instruments sound a lot more lifelike than with his usual Jeff Rowland Concentra II amplifier. 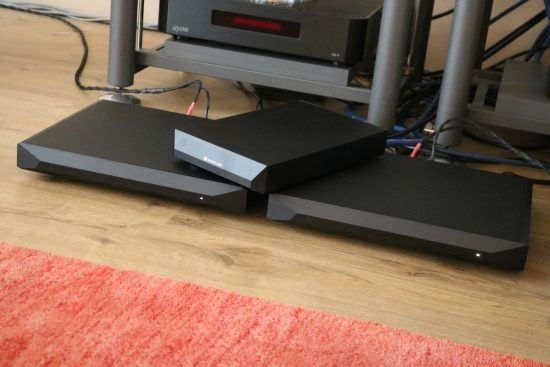 Even if the Logans have active bass units, clearly they still benefit from being fed by an accurate source and the Evolution Ones’ superb bass was impressive here, too, the best we heard in this system, in fact. Also arguably even more noticeable with these speakers was the amps’ superiority over the ST-10 in terms of resolution and treble refinement. Interestingly, while these speakers do not require much current at all, the amp-speaker match was perhaps the best so far even if it now became more evident that these amps won’t make a recording sound interesting unless this is in the recording itself. 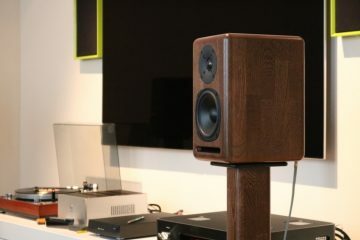 Martin Logans are highly resolving speakers but they also have the nice ability to always retain a certain continuity and this matched very well with the Evolution Ones. Other class-D amps that we tried in this system over the past years did not measure up but these NuPrimes, the system sounded great. Finally, I took the amps to audio buddy JW to use with his Apogee Duetta Signatures. The speakers of this brand have become known as being extremely power hungry and to some extent this is true but Duettas really are much easier to drive than Divas or Scintillas. Speaking of which, I presume that the Evolution Ones might have worked splendidly with the Divas! 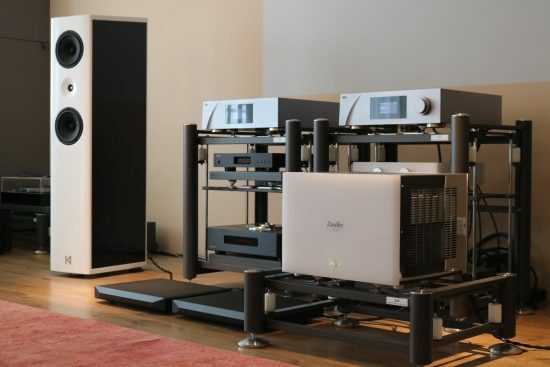 Fed from a Wadia 861 CD player via a Jeff Rowland Synergy IIi preamp with BPS and upgraded power supply and using Cardas Clear XLR cables, the Evolution Ones made the elderly Duetta Ladies sound like super-energetic teenagers. 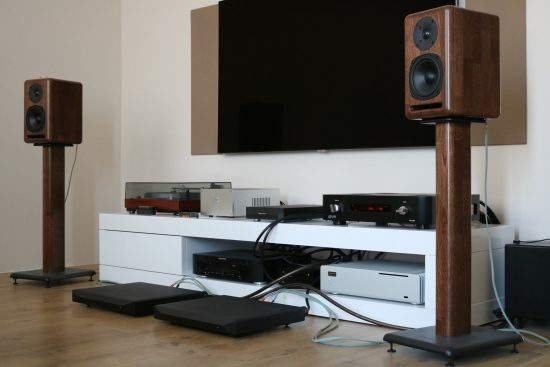 The speakers can sound a little relaxed with many amplifiers but not with these NuPrimes! Once again the bass was incredible, on par with the best I’ve heard these speakers produce, even JW was in awe about this. He’s always been an “overtone” person but due to us being friends for so long he’s picked up on my bass fetishism, just as I have inherited some of his ribbon obsession. Timbre again was incredibly lifelike. This is not a certain coloration but rather the absence of any artifice. Even with the brutally honest Apogees, there was not a trace of synthesis to the Evolution Ones’ delivery and if the tick box of their treble performance was not yet ticked, it sure was now as neither of us could find fault with its treble delivery. Regular readers will know of my experiments using various amplifiers with these speakers and that no class-D amp would sound right. The Evolution Ones are perhaps the best class-D pairing so far. When there was enough fluidity in the recording the sound would also be very fluid with Logans and Apogees alike. Fourplay and Peter White, for example, sounded like the smooth, smooth bands that they are, undiminished. But when the music consisted more of staccato sounds then I’d start to notice a certain discontinuity between the transients, as if decays and subtle reverbs were made shorter than I’d like and that in turn can, for me, translate to a less emotional delivery. 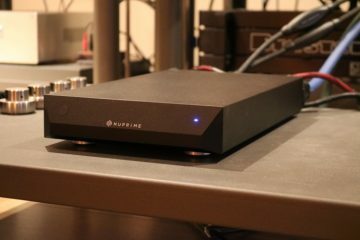 The Wadia CD player is relatively dry itself and the Apogees are pretty ruthless themselves, meaning that the NuPrime amps’ more matter of fact presentation now became more noticeable. As mentioned before, this could be a caused by their super-high input impedance but it might also be the lack of smear-causing artifacts because the sound was as crisp and clear as I’ve ever heard it with these speakers, yet more timbrally convincing and truthful than I’ve heard them with any other amp. 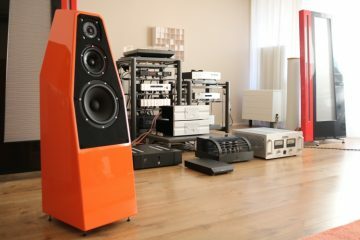 So far, aside from the NuPrime ST-10, the only class-D amps that I really liked are the MolaMola Kaluga amps which were on a visit at the same time as the NuPrime ST-10. 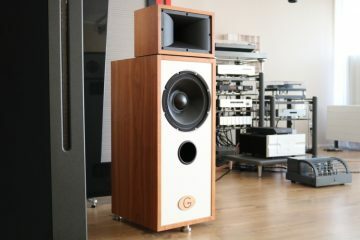 The Kaluga’s worked splendidly with the Vivid Giya G3 mkII’s as well as the Apogees but even though the ST-10 could not match the Kaluga’s level of transparency, refinement, and fluidity, I still preferred the NuPrime because its timbre was so sonorous and acoustically convincing. Using customized N-Core modules, the Kaluga’s achieve a neutrality and total absence of amplifier sound that is, in hindsight, reminiscent of the NuPrime Evolution One’s behavior. Seeing as the Evolution Ones are not only more neutral and transparent than the ST-10 but also more highly resolving and refined while retaining that rich midrange texture and convincing tonality, they provide a very unique combination of strengths. The Evolution Ones sound crisp and clear yet richly textured and timbrally natural, with excellent focus and a reach-out-and-grasp solidity to objects within the soundstage along with a level of lifelike purity and directness that is quite rare. 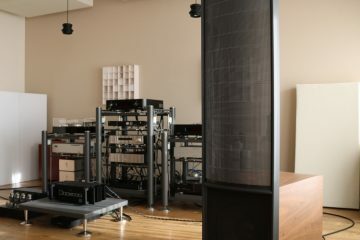 The amps do not rose-tint of otherwise beautify the sound in any way which does make their performance highly dependent on the recording quality. These are reference amplifiers for those who wish to hear precisely what is in their recordings. 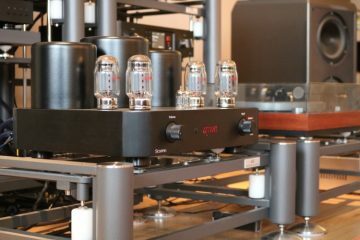 Class D amps are now much improved than a few years ago and this Evolution One seems to be in the league of top poweramps and having very good c/p ratio. One more question : Class D circuits often infuse pollution/noise into the home powerline and affect the other components adversely. 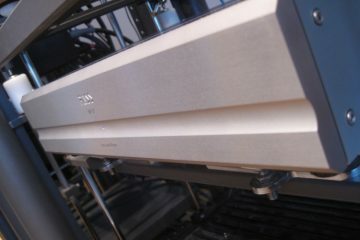 Do you notice such a pitfall on Evolution One mono poweramps? 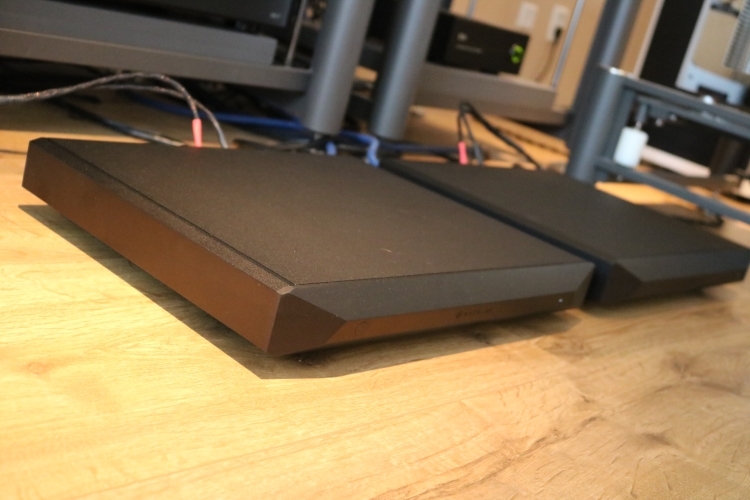 Will putting them on a separate powerline in your house further improve the overall performance of your audio system? Or is using some power conditioners/filters on them beneficial? Indeed this can happen, as I found with the Devialet 120 and 200 where the powered up 200 made the 120 sound noticeably less good. With the Evolution Ones idling while using the rest of the system I did not notice such a thing, nor with the Rowland class-D-based amps. That said, further improvements might still be had by using dedicated power lines. In general, I don’t like the results when using power conditioners but as I haven’t tried it with these amps, I can’t really say anything about this. Ah, the million dollar question. 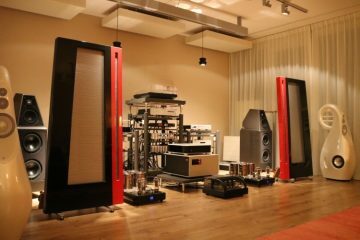 Well, value with high-end audio is very much a relative matter. At a certain level, improvements cost ever more money. At some stage, you’re paying top dollar for ever smaller increases in quality. In the case of the Evolution Ones, it is clear that they perform better in all the areas in which the ST-10 performed comparatively less well, including class D’s typical Achilles heel: treble refinement and resolution. But is this worth 5 times the money? Only you can answer that for yourself, I’m afraid. 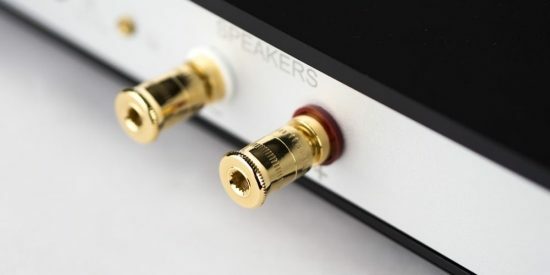 What complicates the matter is that the ST-10 is an amp that has an enthusiasm that is instantly engaging even if you also notice immediately that it is not perfect. The Evolution Ones are technically much more perfect, but they are so precise and transparent and so revealing of the source that they can at times be less fun. You see? A better technical performance does not necessarily equate a higher fun factor. Ultimately, system synergy remains the most important factor and it is up to you to decide which aspect of music replay to place emphasis on. I think Class D amps are coming of age, particularly that the new Gallium Nitride transistors are available now. 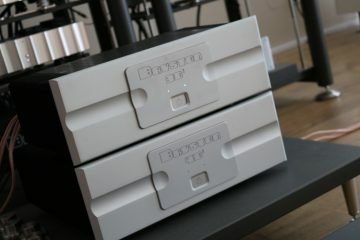 Would you please consider to take a ook of and review the following two new Class D amps? I think they are new stars and worth a n audition. 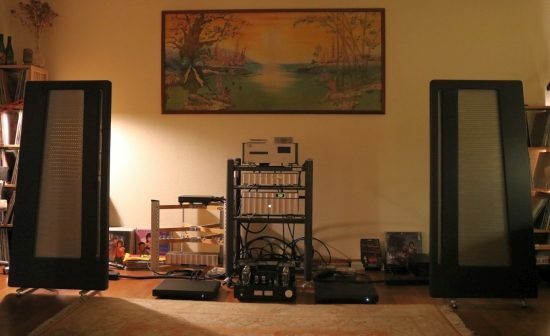 Nicely presented review, but please try to get the amps off the floor. It’s a misconception that all equipment sounds better when on a rack or stand of some sort. 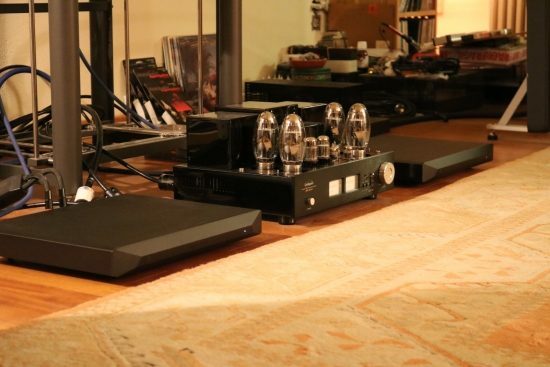 Sure, it looks nice when off the floor and often enough that sounds better as well but for some components, the floor is as good a place as any, as is the case with these amps, or Bryston and CH Precision amps, for that matter. For some reason, they are not nearly affected as much as some other components. Also, all stands do not sound alike. The Artesania racks actually add very little of their own and sound much more like floor placement than for example a Pagode or Spider rack. 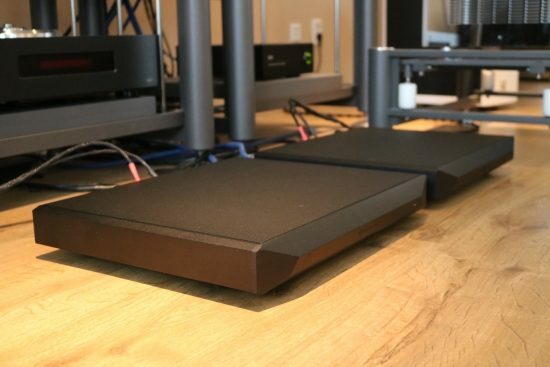 The Artesanias do add a lot of refinement and provide better soundstaging but, ultimately, it’s all about balance and knowing the influence of various materials on the sound of any given audio component and I am very well aware of this. In my case, the floor lends a full-bodied sonority to the presentation which was welcome with these amps. The detrimental effects are known but even when not taking these into account, the Evos did not perform less well on those particular parameters than other amps placed on the racks. So, as I often say: it’s relative. Hi Christiaan, thank you for your reply. My experience is that dealing with micro vibrations is essential, as I’m sure you would agree. Some audio furniture designs may actually add to problems if not carefully design. If placing on the floor the minimum I would expect is to use some good roller ball footer such as those made by Ingress or Symposium. Better would be to use them in conjunction with an appropriate platform material.